If you’re looking for a very, very beautiful walk, look no further. This one has the best Harbour views, a lovely sea pool and even a playground. Quick, grab the pram, get going! 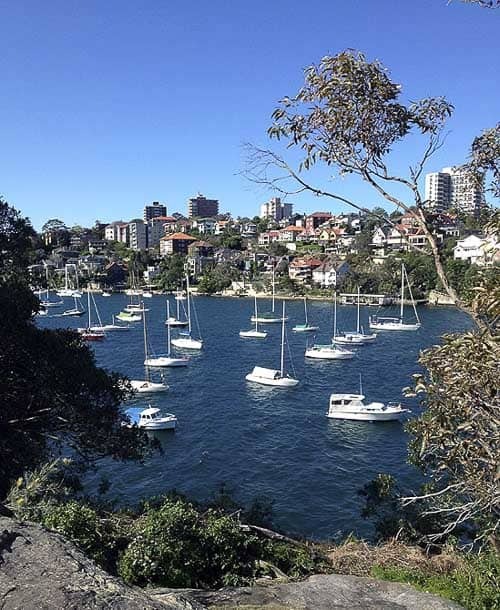 Cremorne Point is one of the loveliest of the harbour’s peninsulas, and the walk around its forested foreshore gives splendiferous views of the city and bridge as well as the most delightful watery vistas over Shell Cove and Mosman Bay. It is all tall trees and soft green grass, the tinkling of rigging on the yachts moored in the bays and cries of passing birds. 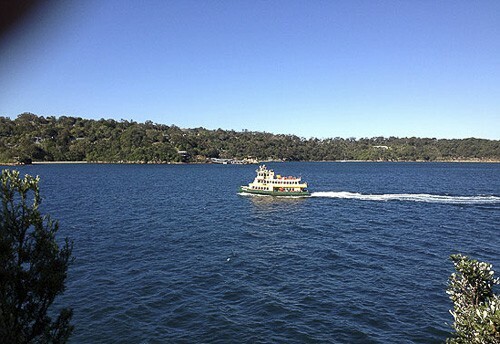 Incredibly, this little slice of heaven is just a 10 minute ferry journey from Circular Quay. 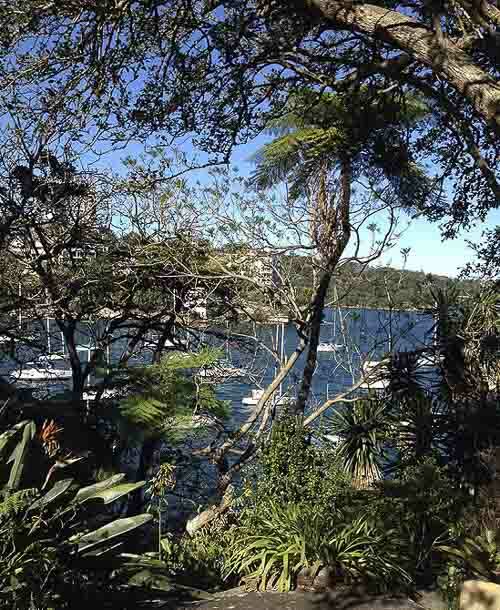 Cremorne Point is a terrific place for visitors to the city to explore, a secret forest hideaway just across the water from the urban jungle. This walk does have some steps on its route and although there are not too many, the walk is definitely best travelled with two adults to one stroller. The path itself is sealed and very smooth all the way around the point. 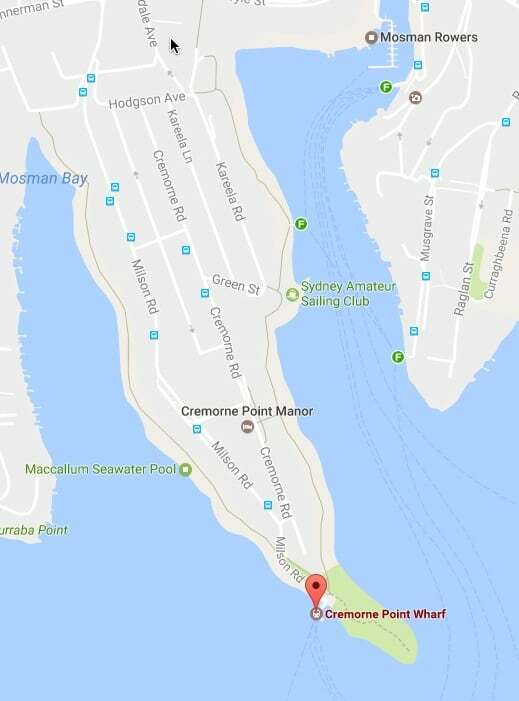 Find Cremorne Point on Google Maps here. As with so many of these walks by the water there is no protective fence, and for most of the journey the path runs above the sea with some steep drops to the water below and its rocky edges. So if small children are walking they need a great deal of care. This walk starts off at Cremorne Wharf. However, it is equally possible to drive to Bogota Avenue, find a park there and then walk around starting from there. 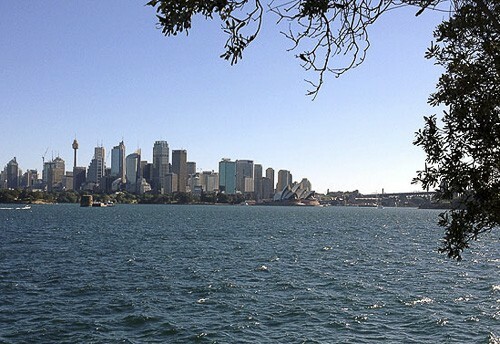 The Cremorne Point Foreshore Walk is an excellent one to do on a hot sunny day as almost the entire route is shaded by trees and a refreshing dip in the sparkling MacCallum Pool can be enjoyed en route. There are many shady spots for picnics. Exit the wharf and and cross over Milson Road. 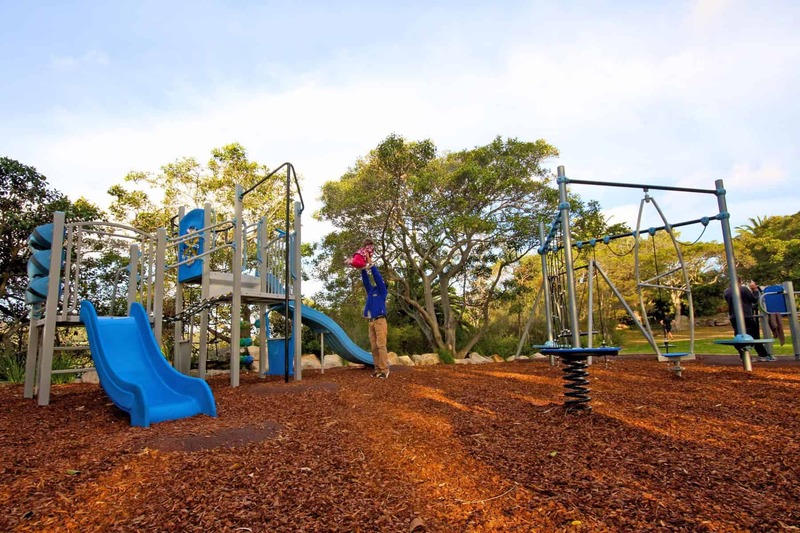 At the place where the houses stop, the main path of the foreshore walk veers sharp left to go alongside Mosman Bay but it is worth continuing on straight ahead to the playground, where there are public toilets and a board detailing the history of Cremorne Gardens, as the Point used to be known. 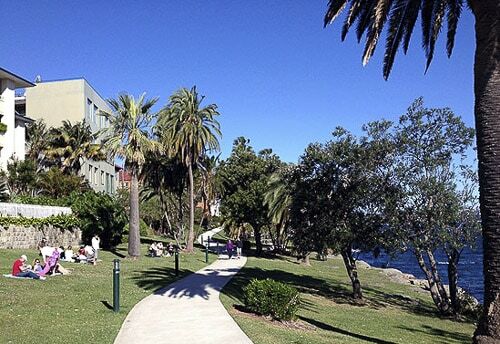 Thank you Jean-Claude Branch of the lovely Cremorne Point Manor Hotel for this photo, click here to read about the hotel. This path goes right to the end of the Point, the tip is actually known as Robertson Point. There are more information boards and seats here to take in the view. At the very end, rocky steps go down to the lighthouse. These steps are not at all suitable for strollers. Click here to read about the secret lighthouse at the very tip of the Point. 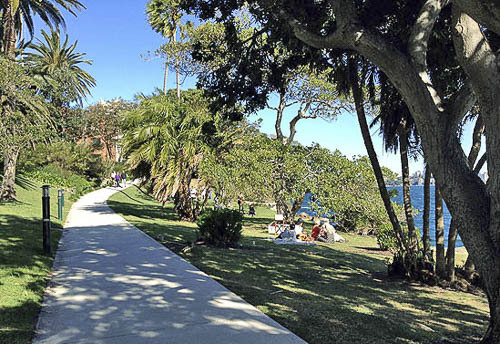 Returning to the main path, the waters of Mosman Bay now appear and the paths wanders above the foreshore, undulating gently. 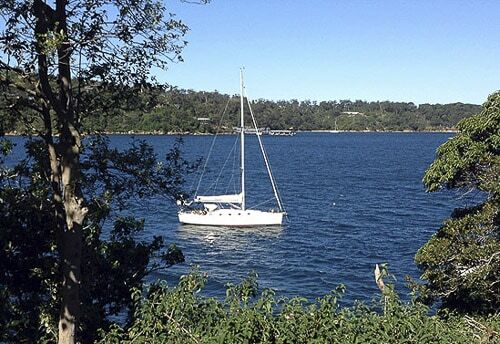 The views really are gorgeous here, with boats, ferries and spectacular homes to be seen on the Mosman side. More boards point out the salient features of the area, such as the architecture and the untouched foreshore with its tumbling vegetation and rocky water’s edge. There is a beautiful patch of cultivated garden where benches invite one to recline and contemplate the heavenly scenery. 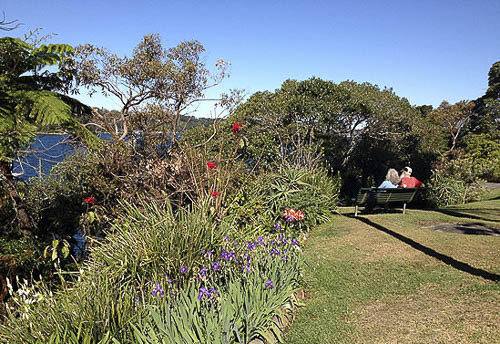 Around two-thirds of the way along the Point, a path goes down to the Sydney Amateur Sailing Club. Just past this there are three steps to go up and then a longish slope leads down to Old Cremorne Wharf. The path then leads up again and there are six steps to negotiate. The path turns into a road called Bromley Avenue for a very short distance, at the end of which are steps that lead up to Hodgson Avenue. Negotiate your way around Murdoch Street to get to Bogota Avenue. Start at the Bogota Avenue entrance to Cremorne Reserve where there is a large noticeboard introducing the walk and the story of the original Aboriginal inhabitants. The first steps, 12 of them going down, are close to the entrance. The path meanders above the shores of Shell Cove, with lovely grassy patches on both sides of the path and tall trees around and about. In the cool shade with the boats bobbing in the cove and the city skyscrapers off in the distance, walkers may well feel like having a laugh with the kookaburras. Dotted along the path are interpretative boards, the first gives information about the bush, the second on the Aboriginal people who originally lived here. 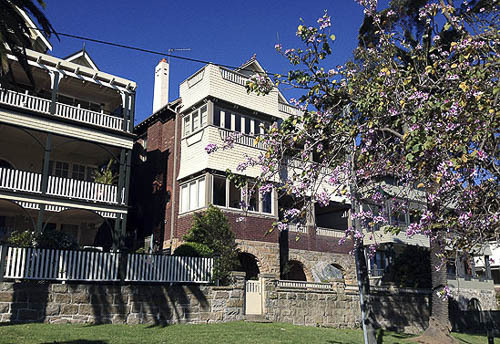 The views to the west, over Kurraba and Kirribilli Points and towards the city are breathtaking, but to cop a real blow to the visual solar plexus, take a look at the homes on the other side of the path. There are some vast single houses and many extremely ritzy apartment blocks. The big surprise is how few of them have people out on the balcony, soaking up the views their zillions of dollars have bought them. Paths lead up to the houses and apartments here and there along the path, and not too far into the walk there is a path (not sign posted, unfortunately) that leads up to Sirius Park playground, which has a boat-themed play structure and a viewing deck. There are numerous steps on the path leading up to it. Proceeding along the path there are more and more delicious views and soon a splendid spot for waterbabies, MacCallum Pool (click on name to read post and see photos). Suffice here to say that it is madness not to stop here for a splash or a look at the very least. A board explains the history of the pool. 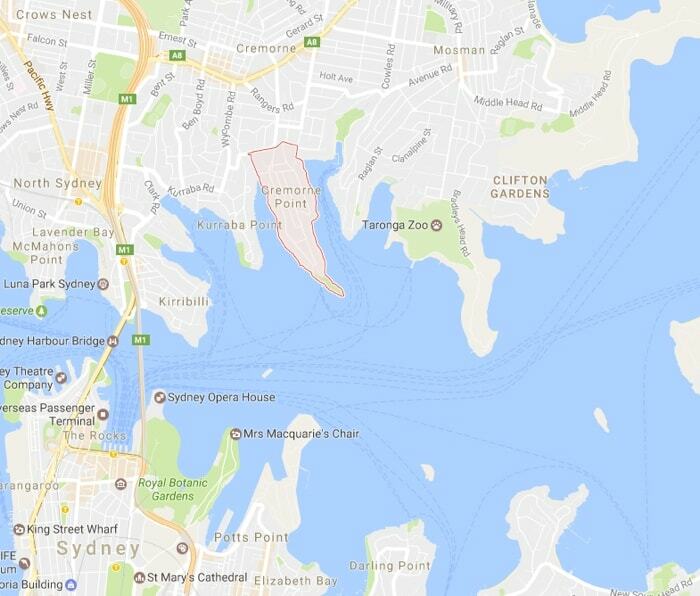 It is only a short amble from here to Milson Road which leads down to Cremorne Point Wharf. 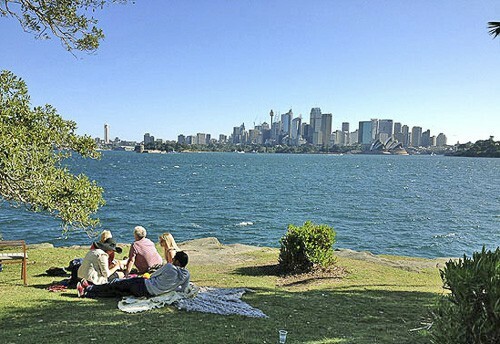 Walking around Cremorne Point is one of the loveliest expeditions in Sydney, so don’t be put off by having to push a stroller. Just bring two adults. Look, I love this walk so give me a call and I’ll pop down and give you a hand on the steps! 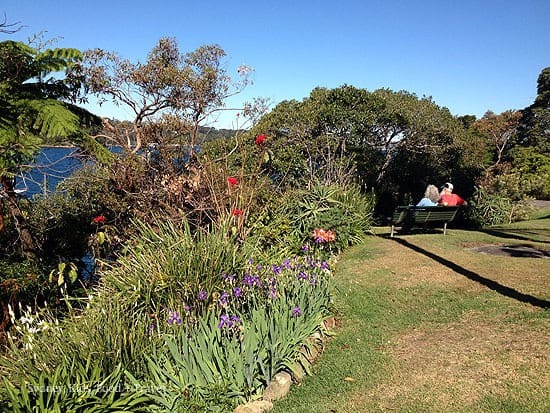 You might enjoy reading about other walks in Sydney, just click here. Where’s your favourite walk in the whole wide world? At What Age Should Kids Get Their First Phone? This looks absolutely gorgeous – can’t believe I’ve never tried it. As soon as this rain stops, I’ll definitely be adding it to my pram walking list! It is gorgeous, and I’d love your thoughts and additions once you’ve had a go. I haven’t been out to Cremorne Point in ages! I didn’t realise they had so many great facilities for kids! Looks like a great place a family picnic! A fabby spot Grace, so long as the boys aren’t keen on running away from you and flinging themselves into water! Now I know what to do next time we are in Sydney. 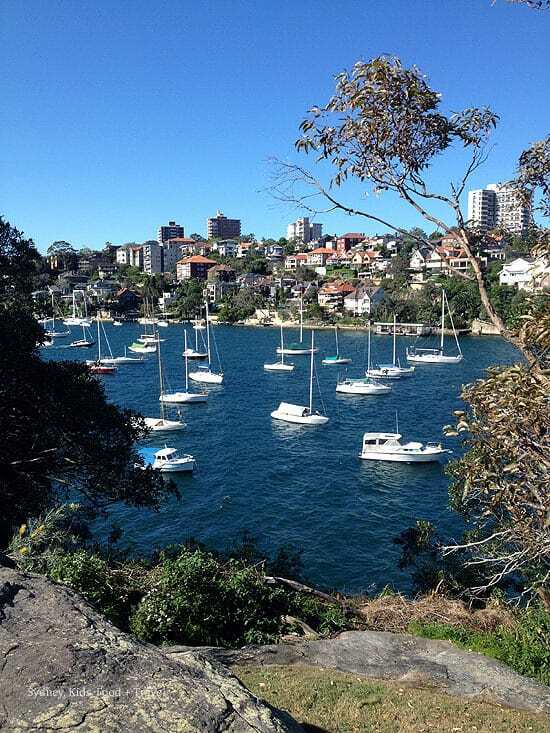 I love walks and the harbour (any harbour, but Sydney has the best) and boats and gardens and looking at gorgeous homes.